By taking our sense of sight far beyond the realm of our forebears' imagination, these wonderful instruments, the telescopes, open the way to a deeper and more perfect understanding of nature. In the early 17th century, craftsmen and scientists introduced a new tool for studying the heavens. The telescope, one of the central instruments of the Scientific Revolution, soon became the astronomer's most essential tool. Now the astronomer could see countless stars and other faint objects never before visible. Suddenly the universe was no longer limited to what the naked eye could see. As telescopes improved, astronomers continued to push back the boundaries of the known universe, peering ever deeper into the surrounding sea of stars known as the Milky Way. The manufacture and properties of lenses were known since the time of the Greeks. Islamic scholars such as the Egyptian physician Alhazen (born in the 10th century) made important contributions to the study of optics. However, lenses were not introduced to Europe until around the 13th century. By 1300, the first eyeglasses were available in cities such as Venice and Florence, and advances in lens making and polishing soon followed. The tools for making a telescope were therefore available but, for reasons that are not clear, the invention of the telescope had to wait. The telescope first appeared in the Netherlands. In October 1608, the national government in The Hague discussed a patent application for a device that aided "seeing faraway things as though nearby." It consisted of a convex and concave lens in a tube. The combination magnified objects three or four times. The government found the device too easy to copy and did not award a patent, but it voted a small award to Jacob Metius and employed Hans Lipperhey to make several binocular versions, for which he was well paid. della Porta included this sketch in a letter written in August 1609. A Galilean type refracting telescope. The telescope (along with the microscope, another 17th century invention) demonstrated that ordinary observers could see things that the Greek philosophers had not dreamed of. It helped shift authority in the observation of nature from men to instruments. News of the telescope's invention spread rapidly through Europe. By April 1609, three-powered spyglasses could be bought in spectacle-makers' shops on the Pont Neuf in Paris, and four months later there were several in Italy. They were made famous by an Italian professor and experimenter named Galileo Galilei in the summer of 1609 at the University of Padua near Venice. While Galileo did not invent the telescope, he did design and build telescopes with increasingly higher magnifying power for his own use and to present to his patrons. He was a skilled instrument maker, and his telescopes were known for their high quality. Galileo's first telescope was basically a tube containing two lenses. His first attempt was a three-power instrument; this was followed by one that magnified objects approximately nine times. 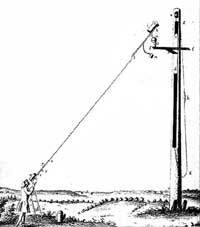 He showed the latter device to the Venetian senate, hoping to impress them with its commercial and military potential. Observations with Galileo's telescope strengthened the new idea that the Earth and the planets circled the Sun. It also revealed multitudes of stars in the Milky Way and elsewhere. One seemed to see not a fixed sphere of stars, but a universe of stars extending outward to some vast and unknown distance, perhaps to infinity. Like the earlier Dutch versions, Galileo's refracting telescopes ("refractors") used lenses to bend, or refract, light. They featured a concave eyepiece lens and a convex objective lens. The telescope was fairly simple to make. Galileo, however, faced difficulties finding clear and homogenous glass for his lenses. The glass was full of little bubbles and had a greenish tinge (caused by the presence of iron impurities). This was a problem that troubled telescope makers for centuries. It was also hard to shape the lenses perfectly. The images of stars were blurry, and surrounded by color haloes. 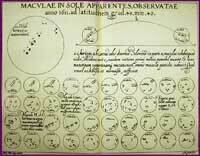 The limiting factor of these early refractors was their small field of view. Only part of the full Moon, for example, could be seen at one time. Galileo himself continued to improve his devices until they were over four feet long and could magnify up to thirty times. 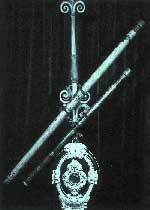 A Keplerian type refracting telescope. A variation on the Galilean telescope was suggested by Johannes Kepler in his 1611 book Dioptrice. He noted that a telescopic device could be built using two convex lenses, but the image it produced would be upside down. The advantage of this design, according to Kepler, was its larger field of view and high magnification. His recommendation was not immediately taken up by astronomers, however. The Keplerian telescope was not accepted until Christoph Scheiner, a German Jesuit mathematician interested in instruments, published his 1630 book Rosa Ursina. 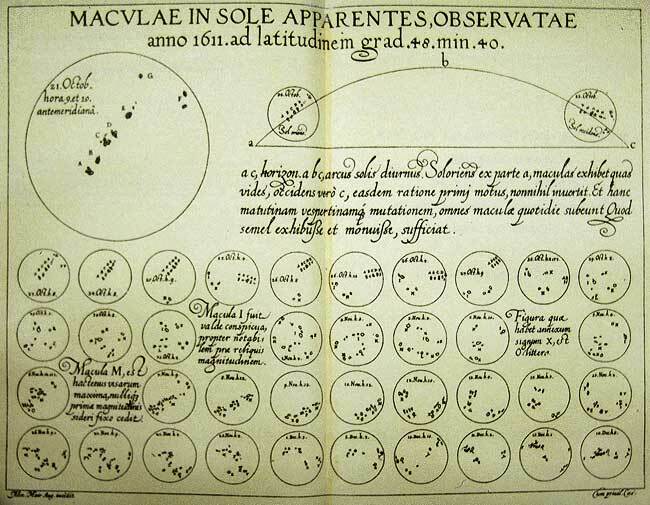 For his study of sunspots, Scheiner experimented with telescopes having only convex lenses. He found that when he viewed an object directly through such an instrument the image was flipped upside down. But it was much brighter and the field of view much larger than in a Galilean telescope, as Kepler had predicted. Since for astronomical observations an inverted image is no problem, the advantages of what became known as the "astronomical telescope" led to its general acceptance in the science community by the middle of the 17th century. One disadvantage of the astronomical telescope suggested by Kepler and advocated by Scheiner was that its higher magnification was accompanied by more spherical and chromatic aberration - geometric distortion and false colors. Over the next several decades, lens-grinding and polishing techniques improved gradually. A specialized craft community of telescope makers slowly developed. These craftsmen worked to produce better spherical lenses with decreased curvature (and a longer focal length) which improved the quality of telescopes but made them longer. From the typical Galilean telescope of 5 or 6 feet in length, astronomical telescopes grew to lengths of 15 or 20 feet by the middle of the 17th century. 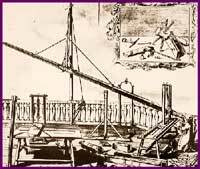 A typical astronomical telescope of this time was the one made in 1656 by Christiaan Huygens, a Dutch mathematician and astronomer, and his brother Constantine. 23 feet long, it magnified objects about a hundred times, and still had a considerable field of view. One of the most spectacular objects that Christiaan Huygens was able to view with their telescope was the great Orion Nebula. In the sword of Orion are three stars quite close together. In 1656 I chanced to be viewing the middle of one of these with a telescope, instead of a single star twelve showed themselves (a not uncommon occurrence). Three of these almost touched each other, and with four others shone through the nebula, so that the space around them seemed far brighter than the rest of the heavens, which was entirely clear and appeared quite black, the effect being that of an opening in the sky through which a brighter region was visible. An even larger "long-focus" telescope was described by the German astronomer Johannes Hevelius in his 1673 book Machinae Coelestis. He made telescopes with focal lengths as long as 150 feet and lenses up to 8 inches in diameter. Their value as research tools was questionable, however, since the telescope's frame flexed and vibrated in the slightest breeze. The Huygens brothers also developed "aerial telescopes." These featured an objective lens mounted in an iron tube at the top of a tall pole. The astronomer raised and lowered this and found the image by trial and error. A compound eyepiece on a little stand was then positioned to receive the image cast by the objective. Although astronomers made some discoveries with these telescopes, their usefulness was limited - alignment on windy nights, for example, was difficult - and their design cumbersome. By the beginning of the 18th century, very long refracting telescopes were rarely used any more. Further increases of power came, beginning in the mid-17th century, from a new form of telescope - the reflecting telescope.